Richard Pybus has urged his West Indies team to “keep their feet on the floor” after a thumping victory over England in Barbados. West Indies defied the Test rankings to inflict a 381-run win over England. But while Pybus, the interim head coach, was full of praise for the performance, he has warned his team that England will attempt to hit back in Antigua, location of the second Test starting on Thursday. Pybus was particularly full of praise for Roston Chase, who claimed eight wickets in England’s second-innings, and Jason Holder, the captain, but pointed out that the overall bowling performance built pressure upon the England side. “Chase was wonderful,” he said. “Roston bowled exceptionally well. His control was good, he set good fields and exerted a huge amount of pressure throughout the game with his consistency. 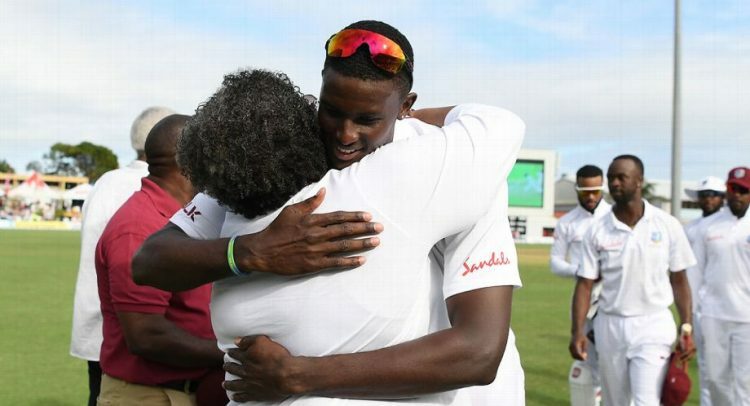 Pybus added that West Indies’ complete performance was down to the leadership of Holder, whom he described as “incredible”. Holder produced with bat, ball and in the field, lifting him to No. 1 in the ICC’s allrounder rankings. Meanwhile Johnny Grave, the CWI chief executive, has branded criticism of the West Indies team from former England players such as Geoff Boycott and Andrew Flintoff as “borderline disrespectful”.